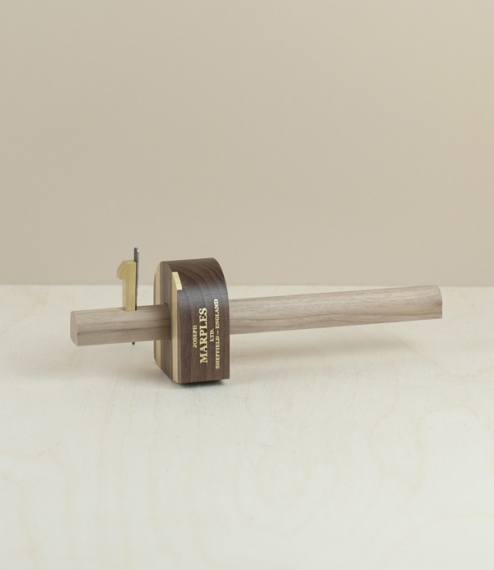 A traditional brass wedged, steel bladed cutting gauge made of sustainably forested walnut with a half round stem and stock, brass plates to hold off wear, and brass thumbscrew. 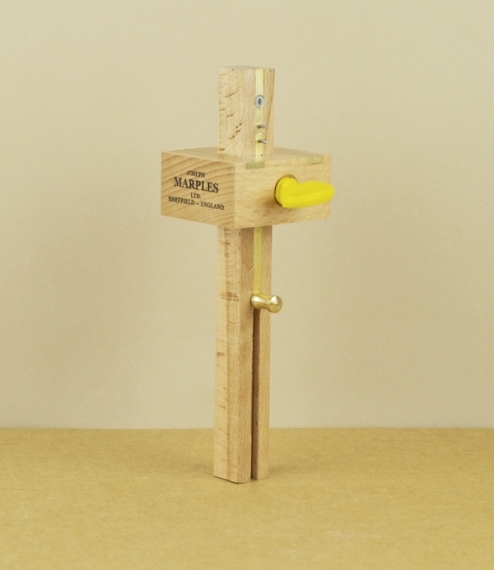 This is a very traditional style of marking gauge with a sharpened steel blade held in place with a small brass wedge - often preferred as this allows a craftsperson to easily remove, hone, or reshape the blade as they see fit meaning hopefully less tear than might be expected with the more common pin type gauges, especially if marking cross-grain. From Joseph Marples Ltd of Sheffield, who have over 150 years experience of producing the finest joiners tools. Whilst time might have changed (only) some of their methods their commitment to quality both in craftsmanship and materials remains undimmed, as evinced by the identical antique tools that can still be found at fairs, markets, and if you are lucky, in sheds.